J.Smo (of B.U.N.K.S.) – Purgatory – Album Review | The Ark of Music – The best music in the world…you never knew existed. He’s a father, husband, songwriter, producer, music blogger, consultant, and of course, an MC. 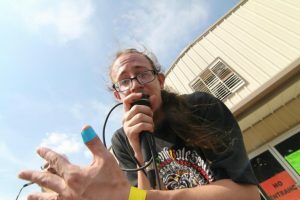 Though J.Smo (born, Joshua Smotherman) has wandered from coast to coast in pursuit of his artistic ambitions, it all began humbly (as these things so often do) in a small town called Manchester, Tennessee. There, he formed hip-hop duo B.U.N.K.S. with his best friend since the 5th grade. By 1999 they were releasing their music to the world. Fast-forward about 17 years, and J.Smo is now the co-founder of the highly regarded music blog, Middle Tennessee Music; the founder of Indie Musicpreneurs (a platform dedicated to the advancement of all DIY and indie-musicians), and CMO, of Unlimited Sounds Publishing & Distribution, LLC (a company specializing in publishing administration and digital distribution for independent artists). But despite all of his new responsibilities, which also include being a father of three, he hasn’t lost his drive and love for making hip-hop music, of quality. His latest effort, Purgatory, is a collection of remixes and collaborations between J.Smo and serveral artists crossing many genre lines. This includes: UK Progressive rock band Permanent Moods ft. Zion Antoni, Australian folk singer/songwriter Bob Crain, Canadian indie pop/rock singer/songwriter Leslie Rohonczy, Wisconsin alt-rock band FM Down, Canadian electro-rock producer Brother Octopus, and Tennessee alt-country songwriter C. Bret of Stephenson Rd. Radio Lies, the opening track, is all business. I love this track. The beat is crisp and sick, and the electric guitars create the perfect mood for the song’s rebellious message. J.Smo is all too aware of how corrupted corporate (radio) music can be, and the damage it does as pop music is so often turned into just another marketing tool for less than wholesome agendas. The track features Bronx MC, Zion Antoni, a voice which seems to be born to spit. The track combines the best of both worlds: a phat beat and a lyrical flow to get you on-board…body and mind. Basketball legend, Charles Barkley once said, “Any knucklehead can score.” In the same vein, any knucklehead can rhyme (as pop-hop is proving to be the case). But the art of storytelling—the art of creating a narrative with the perfect balance of honesty and skill—that’s something totally different. The breath of fresh air that is Purgatory is living proof that J.Smo has kept that art alive and well. If you thirst for hip-hop that is unique, genuine, and highly creative, while simultaneously delivering a message which speaks to you with depth and meaning…Purgatory will quench that thirst. Atmosphere with a touch of Struggle Jennings. 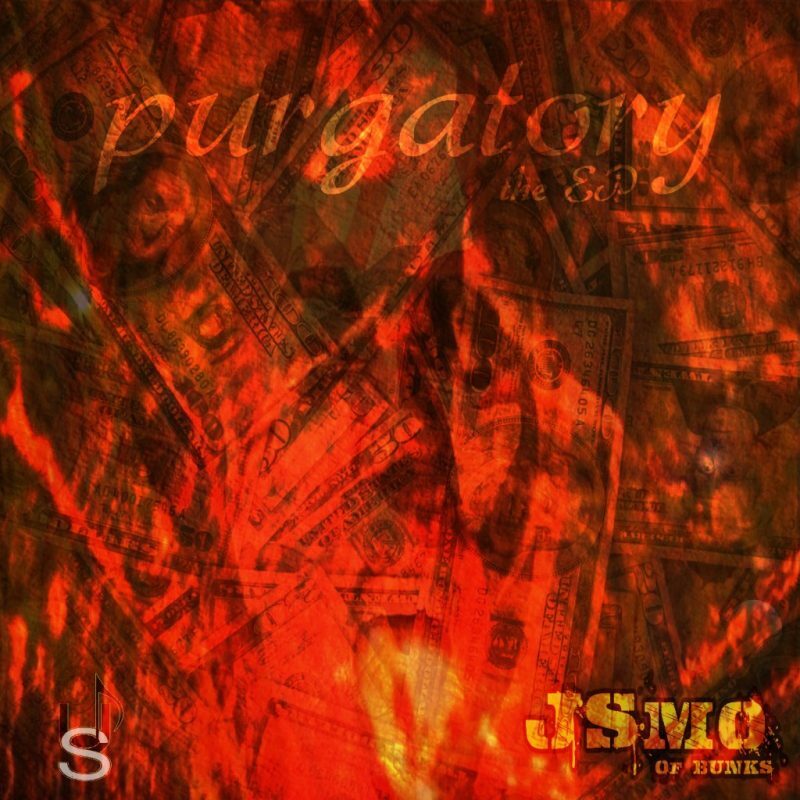 BELOW, you can listen to Purgatory by J.Smo, check out our full video interview with him, connect with his website and social media platforms, watch his music video, check out his live show/tour schedule, and find his booking & contact information. 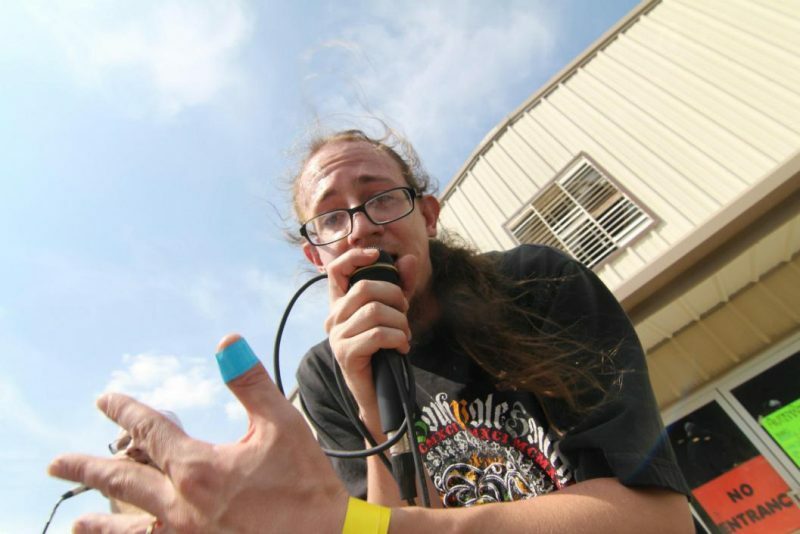 Please support J.Smo by visiting him online, and playing, downloading, and/or purchasing his music. And, as always, thank you for supporting real music!